Take the Long Island Expressway or the Northern State Parkway to the Seaford-Oyster Bay Expressway (Rte. 135). 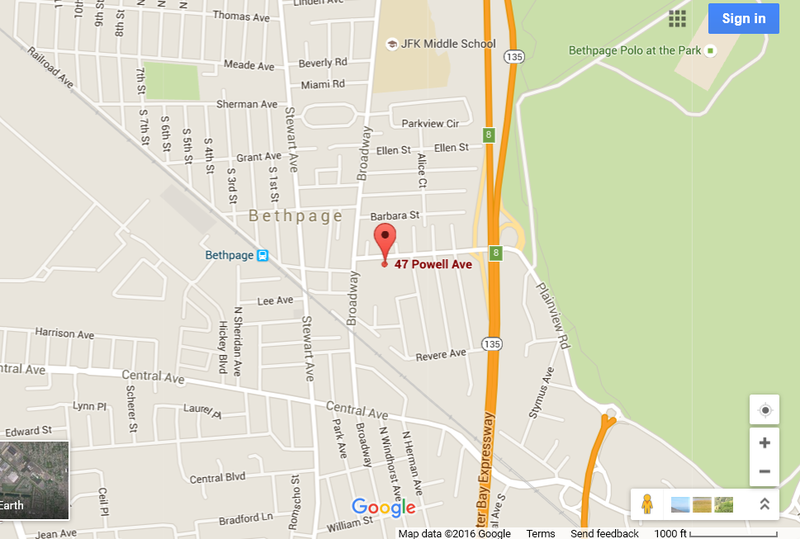 Drive south on the Expressway to the Bethpage-Powell Ave. ext (Exit #8). The exit is on Powell Ave.; turn right. Proceed about 2 blocks to library, which on the left hand side. Take the Southern State Parkway to the Seaford-Oyster Bay Expressway. Proceed north on the Expressway to the Bethpage-Powell Ave. exit (Exit#8). The exit is on Powell Ave.; turn right. Proceed about 2 blocks to the library, which will be on the left hand side.